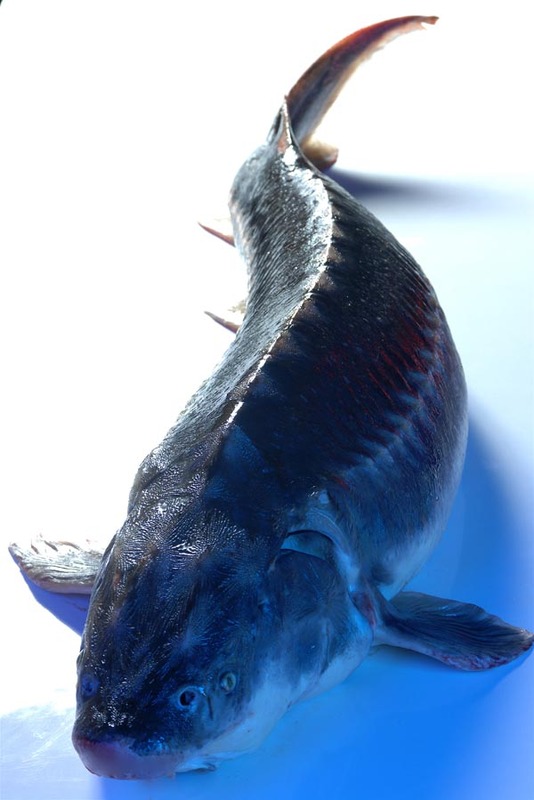 Caviar Court produces �Osietra Malossol� grade caviar of the following sturgeon species: Acipenser Gueldenstaedtii, Acipencer Baerii and crossbreeds thereof. 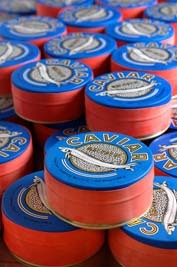 Caviar Court boasts a �state of the art� caviar and fish processing plant. Designed and built accordance with the most religious sanitary norms, it satisfies all generally accepted hygiene standards such as those that are in force in Europe, the USA and the other developed countries. 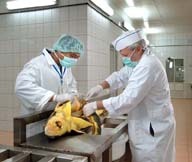 Furthermore, operation of the plant is carried out in accordance with advanced and well-developed HACCP protocols. The processing plant is equipped with new modern machinery all of which is European origin. 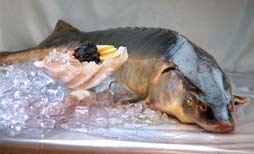 Apart from caviar the plant produces a variety of sturgeon products such as sturgeon fillet, hot smoked sturgeon, cold smoked sturgeon, fish sausages and hotdogs. When making our caviar we follow traditional methods and recipes that have been applied to processing sturgeon roe for centuries. 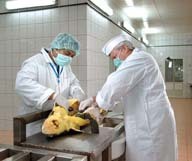 This approach guarantees highest possible quality and palatability of the final product. 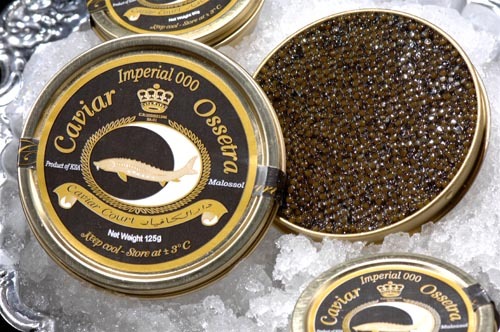 Only the finest laboratory grade components are used in the process of caviar preparation. The resulting product represents �Malossol� (Russian word for �little salt�) caviar that not only offers the consumer the most genuine and natural taste but also boast outstanding texture, large and firm grain and attractive color. 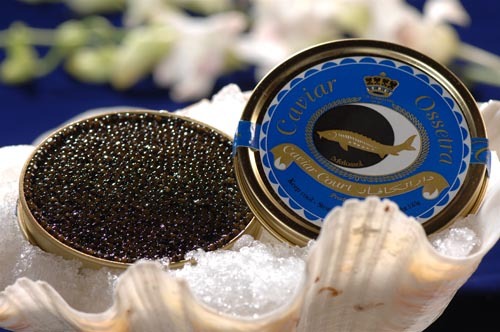 All caviar that caviar court delivers to its client has to pass strict quality control. 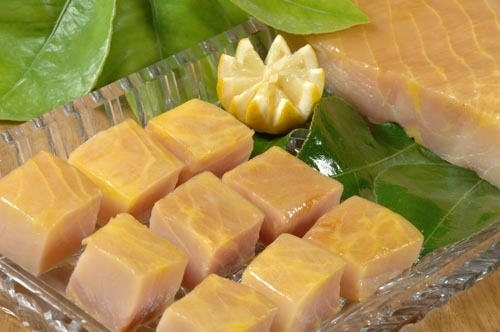 Every batch of product obtained from every single fish is individually tested by analyzing several vital properties such as absence of foreign flavors, integrity of the grains, overall texture and appearance, etc.. Occasionally our harvests come across this rate caviar. Exquisite golden color and rich taste for our top connoisseur. 10g, 30g, 50g, 100g, 125g. 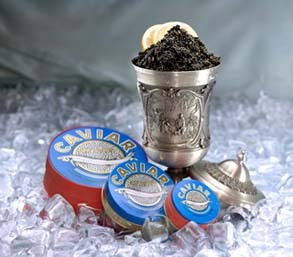 Unforgettable that serves all caviar lovers expectations. Truly spectacular taste firm grain and buttery flavor. Contemplates your plate with deep taste and satiny texture pieces. Our smoking creative secrets are distinctively preserving the blond color for your grasp. Harvested sturgeon fish from our farms assure the freshness and sublime taste of the authentic Royal fish of the Caspian sea. 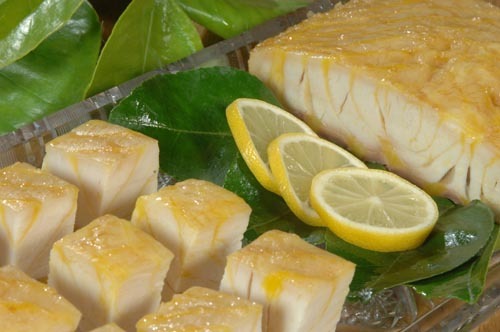 Dare and have the whole fish or the fillet for your desired cook recipes.